Do you take care of someone who can’t eat or won’t eat? Eating is one of life’s pleasures, but sometimes illness gets in the way. For caregivers, this can be a major frustration. 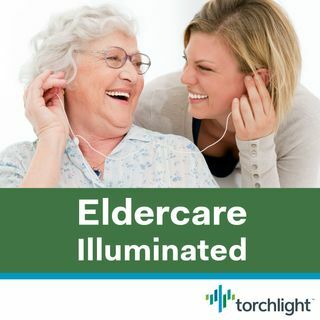 In this episode of Eldercare Illuminated, Torchlight Eldercare Practice Leader, Lenore Tracey, chats with chef and author Hannah Duncan Tays. Hannah’s experience caring for her mother taught her a lot about how expectations and practices at the family dinner table can change drastically when a loved one becomes ill or ... See More incapacitated. Tune in to learn how to make a meal appetizing for someone with little or no appetite, as well as how to add calories and when calories are more important than nutrients.